It is time to escape from the rush of noisy cities and relax. Pamper yourself in a peaceful environment taking the Russian language course in our brand new boutique executive centre. You will find the Lielborne Manor with its private park within 30 minutes drive from the city centre of Daugavpils. It is Latvia’s 2nd biggest city with the highest Russian speaking population in the country. Lielborne Manor is the only manor complex in the territory of the Nature Park „Daugavas loki“- a UNESCO World Heritage Site, right on the two rivers‘ intersection. There is the old castle, built in the 18th century, as well as the new castle built in the classic style in the first half of the 19th century. The most recent part of Lielborne Manor House was rebuilt at the end of the 19th century and at the beginning of the 20th century. The manor house, which is a typical summer cottage-style monument in Augšzeme, is special in its decorative design and decoration, which gives a unique artistic impression. 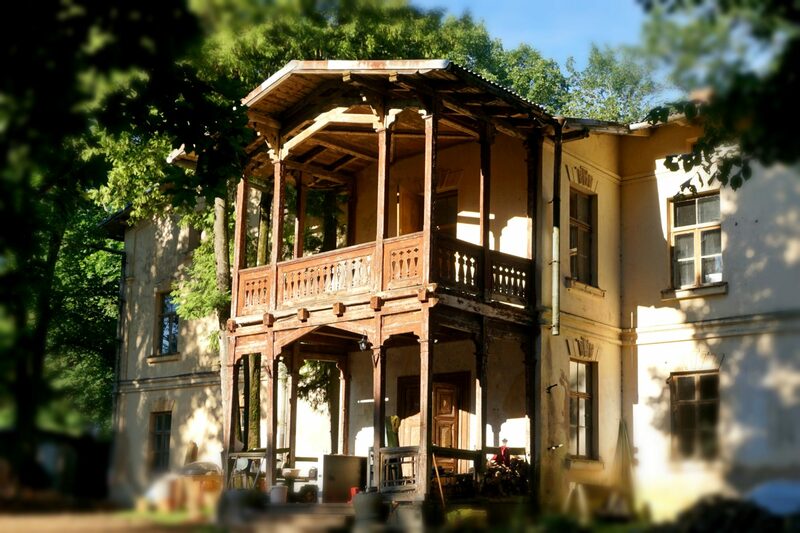 Situated at the place, there Borne River flows into the Daugava, the Lielborne Manor offers a unique environment that combines both the possibility of enjoying the picturesque landscape of Daugava and an adventurous walk along the Borne River. In the manor park, which spans both sides of the river Borne, are two orchards – an oak and an elm. There are also larches and unusually beautiful pine trees. The walking path leads both along the steep river and its slopes. There is also a romantic view on both banks of the Daugava, the mill ruins, the waterfall and the mill pound. This is a good place to enjoy a meal. You can also relax in a natural setting while your children are having fun in this well-equipped active rest place.